Will this winning streak ever end? The Boston Celtics are feeling it! They've won nine games in a row, which is one of the longest winning streaks that the team has had in the last 25 years. They're now hitting milestones that we haven't seen since Paul Pierce and Kevin Garnett were in town, which is nothing to sneeze at. Let us not forget that those guys and their 2008-2010 teams made two NBA Finals appearances. Their two most challenging contests will be in the next five games, when they'll face off against the Toronto Raptors and the Golden State Warriors. Thankfully, both games will be in the Garden, so thousands of heckling fans in green will give the Cs an advantage. You best believe that Causeway Street will be rocking in the upcoming week. But besides those two matches, this schedule seems like a walk in the park. I mean, the Los Angeles Lakers stink and will result in an easy win. We left the Charlotte Hornets winless in the preseason. The Brooklyn Nets are bad, especially after losing Jeremy Lin to a ruptured knee. We just beat the Atlanta Hawks, and can do it again. The Dallas Mavericks are literally the worst team in the league, with a record of 1-10. And the list goes on and on. We've even seen some of these teams already this season, and have conquered them all. 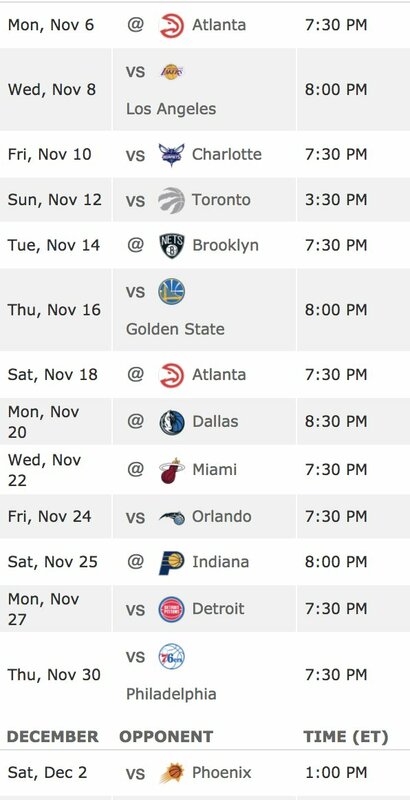 By the end of the month, the Celtics may have a new record for longest win streak in team history, with multiple Gino appearances along the way. This game against the Warriors will be a high stakes match. 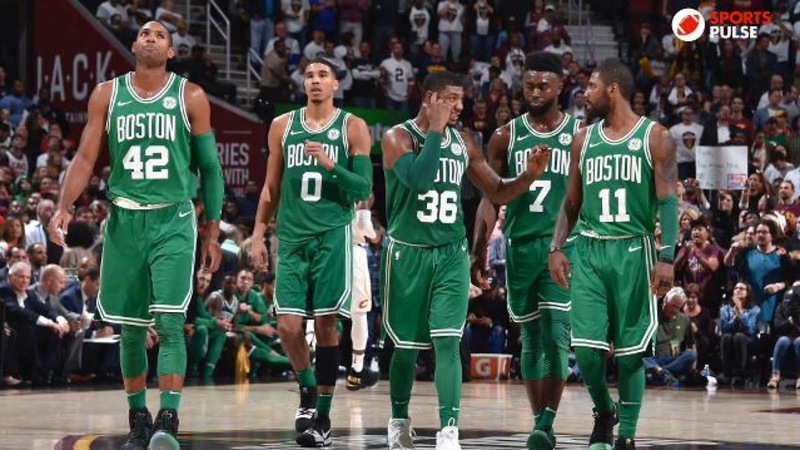 A real do-or-die for the win streak, but this team can certainly pull out a victory, especially with the way that they've performed defensively. If our guards can defend Steph Curry and Klay Thompson on the perimeter, and Al Horford continues to play efficiently, and Aron Baynes can get big against Draymond Green, and most importantly, the young Semi Ojeleye can keep up with Kevin Durant, then we'll have a real shot at a W. The addition of Marcus Morris to the lineup will also be important. He's said that he'll be the team's enforcer, and November 16 may be the night to prove it. But lets not worry about that game right now. The Celtics have won nine straight! Let's celebrate! We're going streaking!